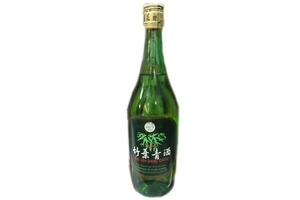 Xinghua Cun Cooking Wne (Chu Yeh Ching Chiew) in 25.3fl oz (748.2ml) bottle. Regulating and stimulating vital energy, enriching blood & purging intense heat. Product of China.